← Where Humans Live: Is There Really an Overpopulation Issue? What Will Major Cities Look Like in 25 Years? Have you ever visited your hometown only to find that there’s been so much change since you’ve left? I certainly have and it’s amazing to see how different things have become since I’ve moved away. Well, if your hometown happens to be a major city, then the pictures in this slideshow might be quite interesting. 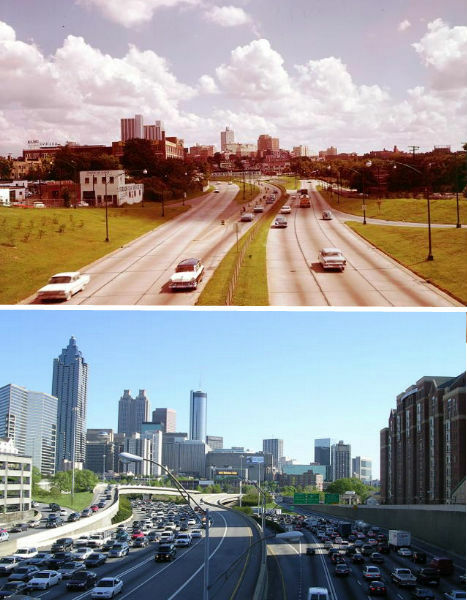 The slideshow demonstrates the changes to some of the world’s biggest cities. It’s simply amazing to see the change in what amounts to a rather short time. 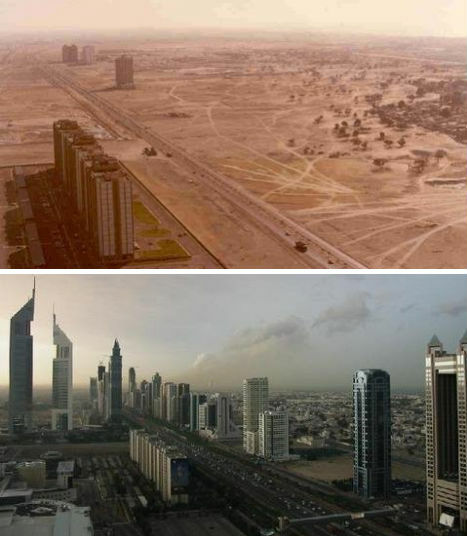 For instance, the second one from the slideshow included below), showing the difference between Dubai in the span of 13 years… wow. Of course, this is a bit of an anomaly based on the kind of money that’s been invested in Dubai, but it’s still remarkable to see just how much it’s changed. Some of the other images, like the ones of Shanghai, Singapore, and Fortaleza (Brazil), make it appears as if you’re looking at a picture of two different places (and in effect you are, because of the time component). If not for the water landmarks, you might think you were being deceived. My point in discussing these images is look at where we are today. It’s 2014. Think about some of the major places you’ve come to know and love. There are buildings that we look at and think, “Wow… that building’s so tall… we’ll never have taller buildings, will we?” What do you think folks thought 50 years ago? That’s not to say that taller buildings is where we’re headed. There’s always the possibility that they’ll be advances in magnetization or some other form of technology and we will finally get those flying cars that we’ve been predicting for so long. I have a sneaky suspicion that when the time comes to pass that we do finally have the “next” bit of where we’re going, that it won’t be what many of us are expecting. I doubt that many people in 1950 would have thought that this is what infrastructure would look like 60 years into the future. Similarly, I’ve learned that we, as a species, are rather horrible at predicting the future, so I don’t know that what we’ve predicted has even an infinitesimal chance of coming to pass. Either way, I encourage you to think about it and reflect on how things different could (will?) be. This entry was posted in History and tagged Atlanta, Brazil, Cities, Dubai, Fresh Perspective, Future, Hong Kong, Land, Major Cities, Predict the Future, Predicting the Future, Shanghai, Singapore, Urban Growth, Urban Sprawl, Urbanization. Bookmark the permalink.